UN procedure is likely to halt North Lanarkshire Council’s plans to reunite Syrian refugees with family who already live here. There are currently 133 refugees living in North Lanarkshire and the council wished to focus future applications on reuniting displaced relatives. However, the UN does not take into consideration family connections in host countries when considering applications for resettlement which means the chances of bringing families together is slim. Instead the council has agreed to take in a final group of around 50 refugees who were nominated by the Home Office and UN. Any future family reunification cases will be accepted on top of the original pledge of 180 people which the council made in 2016. 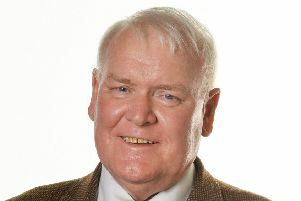 Councillor Pat O’Rourke, chairman of the refugee working group, said: “Whilst it’s disappointing we can’t reunite some of those already here with family members, I’m heartened around 50 further Syrians will soon make North Lanarkshire their home. “The people of North Lanarkshire can be rightly proud they have provided such a understanding, compassionate and friendly welcome to the 133 Syrians who have joined us over the last two years and I’m sure will provide a similar welcome for those still to come.